It was going to be all the rage – at least in my dream. Introducing DOTTER™ – the newest social networking tool. Much like Facebook status updates, Twitter feeds, and Friendster beeper pagings, DOTTER™ would keep those in the need to know in the know now. It’s easy to use to… using advanced DOT MATRIX TECHNOLOGY, tell everyone your thoughts, feelings, and meal options in 140 PIXELS OR LESS. Did I mention this dream took place in the 80’s? Way back when there was no TripleDoubleU? 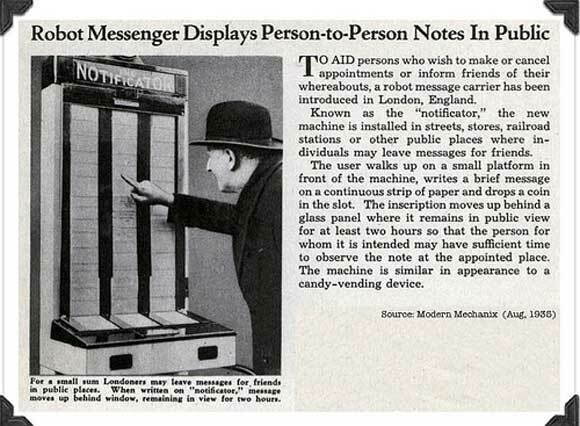 wait…how do i know if you left me a message on that robot messenger? You’ll know when you receive my message sent by carrier pigeon. Duh!